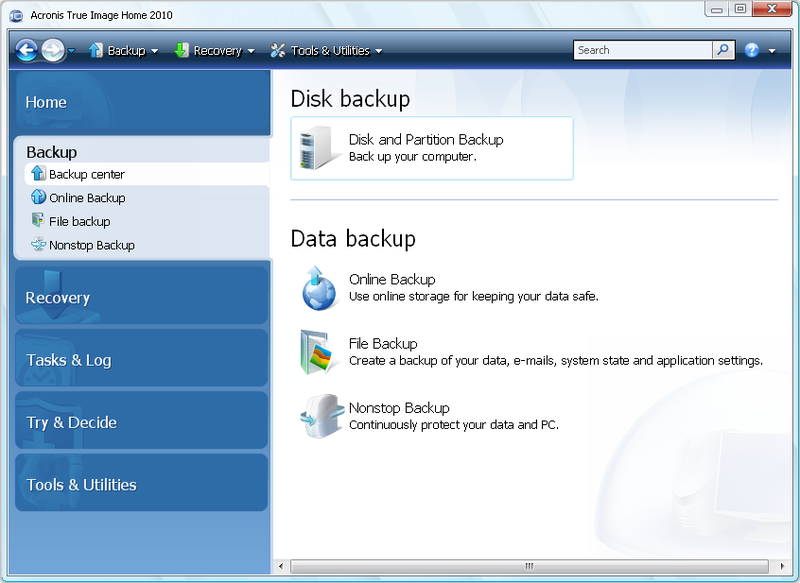 Since there is no Volume Snapshot Service (VSS) support in Acronis True Image Home 2010 or Acronis True Image Home 2011, it is strongly recommended to use Acronis Backup & Recovery 10 to create a backup of a system with any VSS-compliant databases running in it. 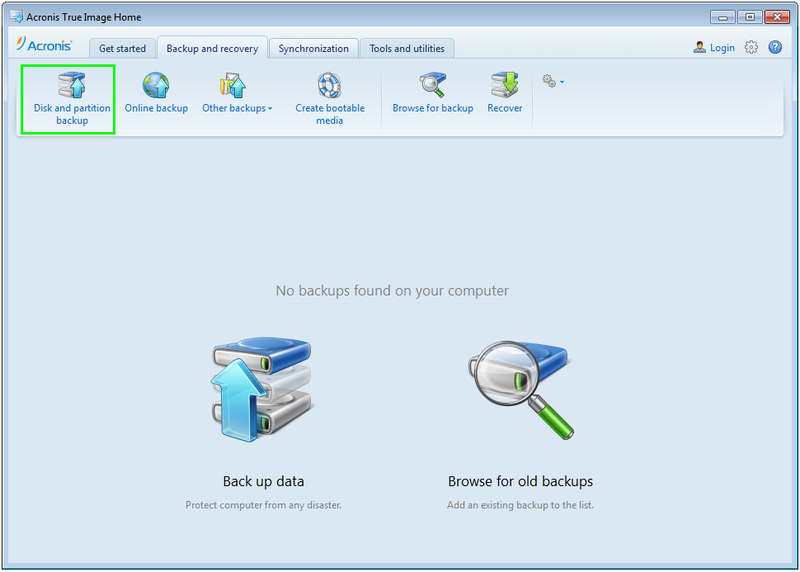 You can still back up a system with database with Acronis True Image Home 2010 or Acronis True Image Home 2011 using pre/post commands. 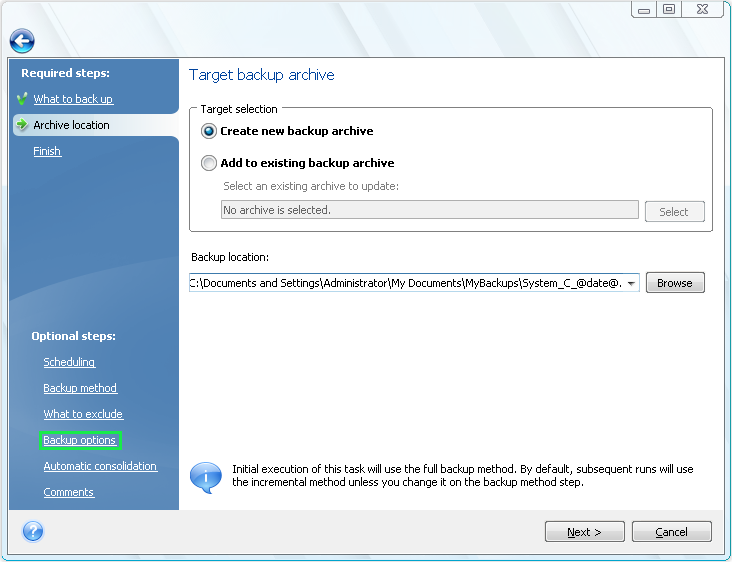 If the database that you are going to back up supports transactions, the transactions active at the moment of creating a snapshot may become corrupted. 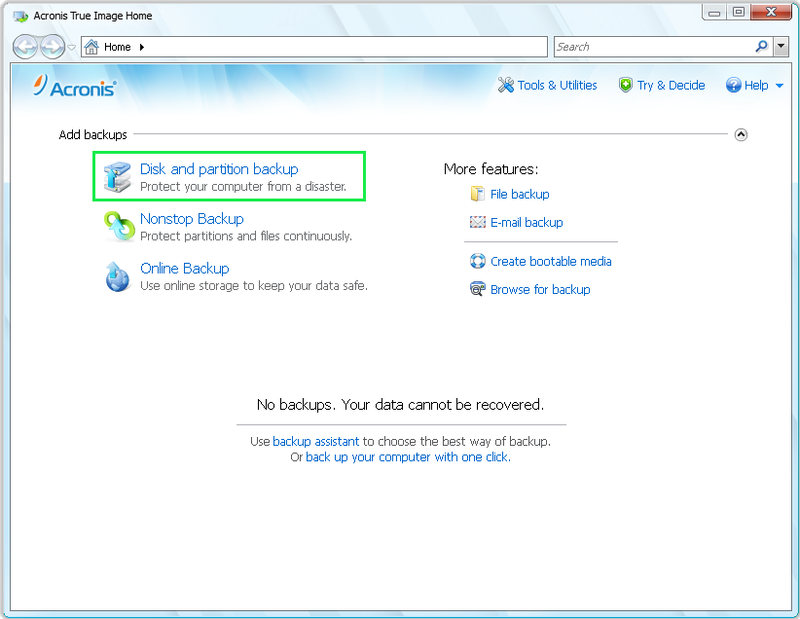 This means that after the restore, the database will roll back such transactions to make it consistent. Data of only active transactions will be lost. 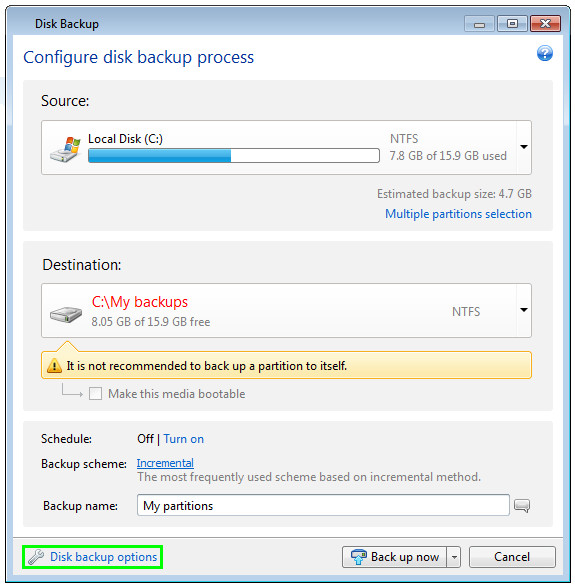 To avoid losing the active transactions you can use pre/post commands to stop the database before the backup starts and restart it after the backup is completed. In this example, the batch file stops the SQL Server (SQLEXPRESS) service. 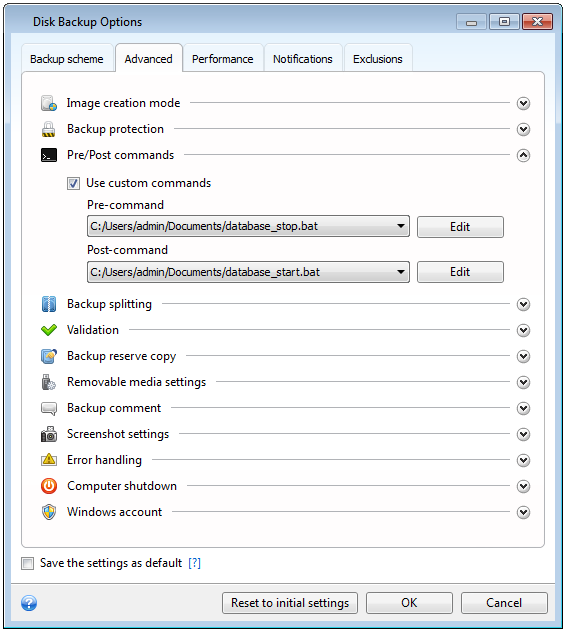 See also Using Batch Files in Acronis True Image for batch files. (!) 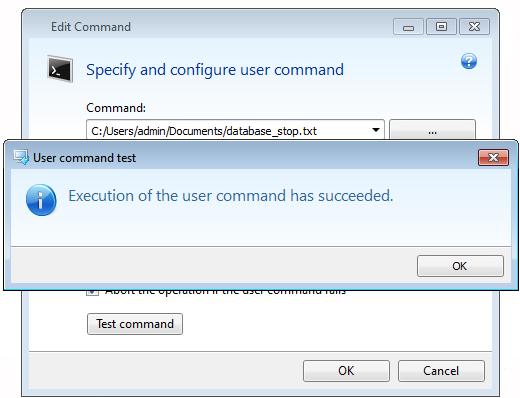 The Test command button will run the batch file. 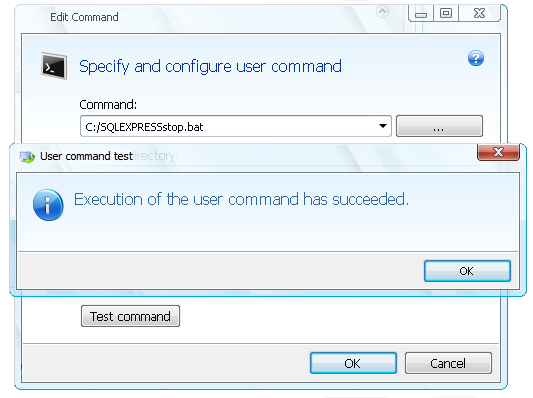 In this example, this means that the SQL Server (SQLEXPRESS) service will be stopped. 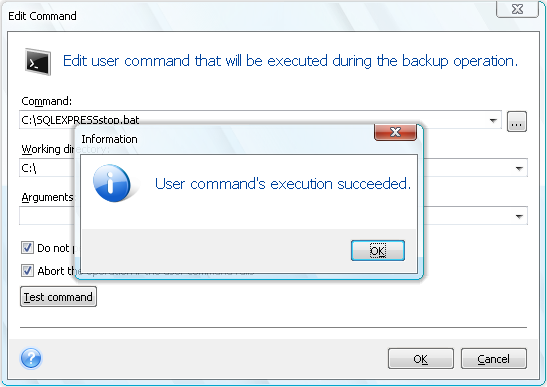 Also, if you have the Do not perform operations... and Abort the operation... boxes checked, and the service is stopped, the backup will fail after clicking Test command. 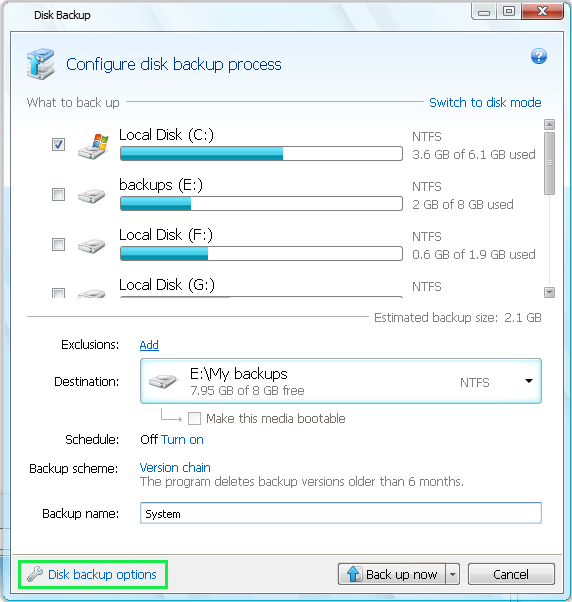 So, make sure the service is started before you run the backup. You can also start the service by clicking Test command in the After backup process window. 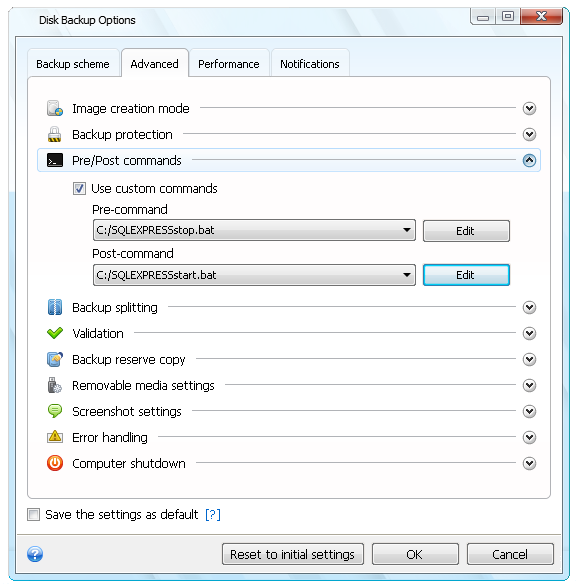 Press Back up now or select Later in the drop-down list to run the backup manually later. (!) 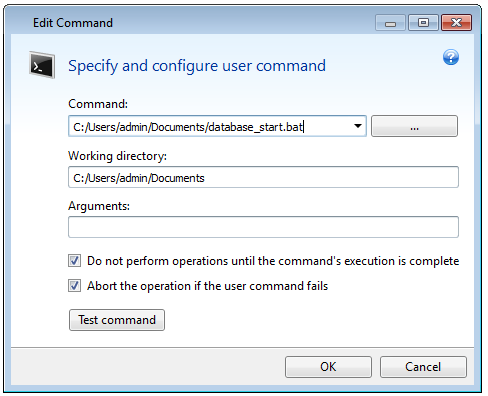 The Test command button will run the batch file. 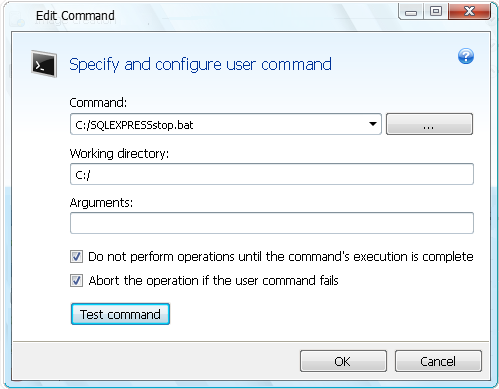 In this example, this means that the SQL Server (SQLEXPRESS) service will be stopped. 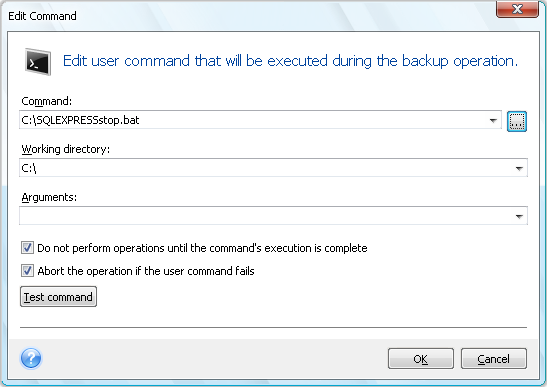 Also, if you have the Do not perform operations... and Abort the operation... boxes checked, and the service is stopped after clicking Test command, the backup will fail. 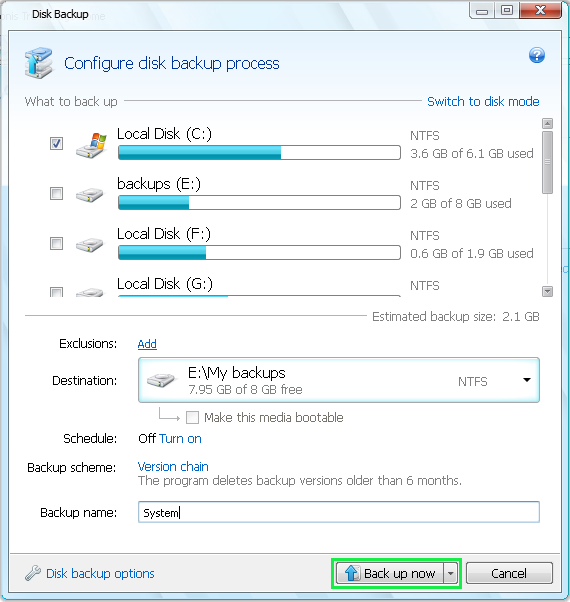 So, make sure the service is started before you run the backup. 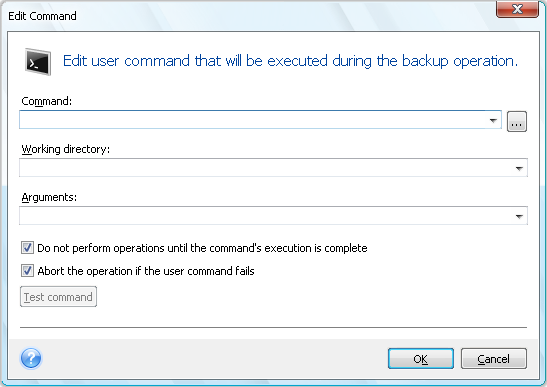 You can also start the service by clicking Test command in the After backup process window. 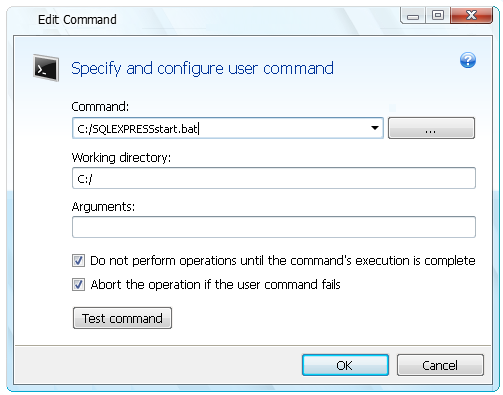 Once everything is set, click Proceed. 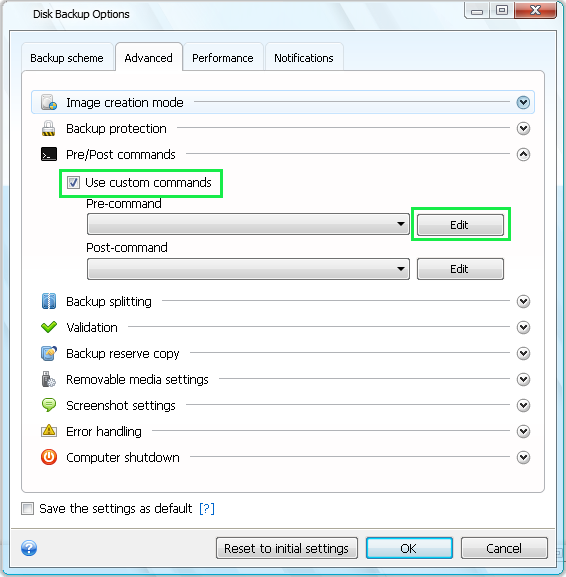 See also Using Batch Files in Acronis True Image for sample batch files.